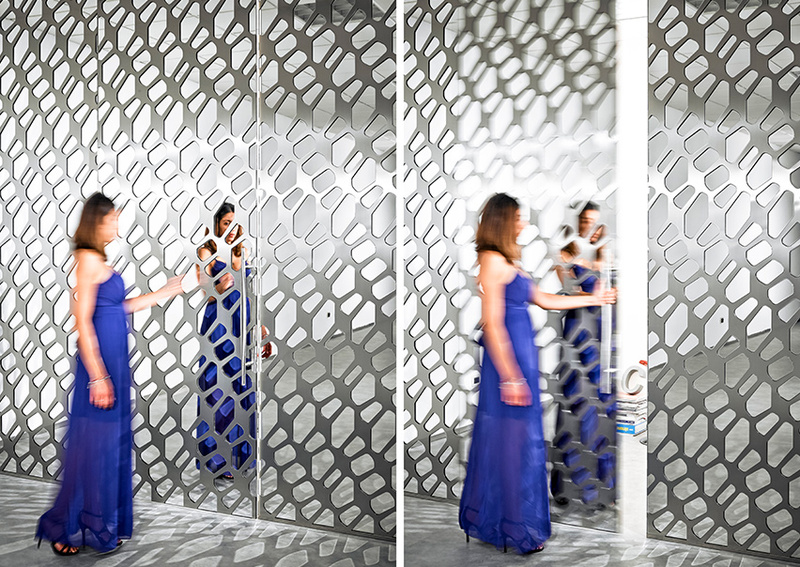 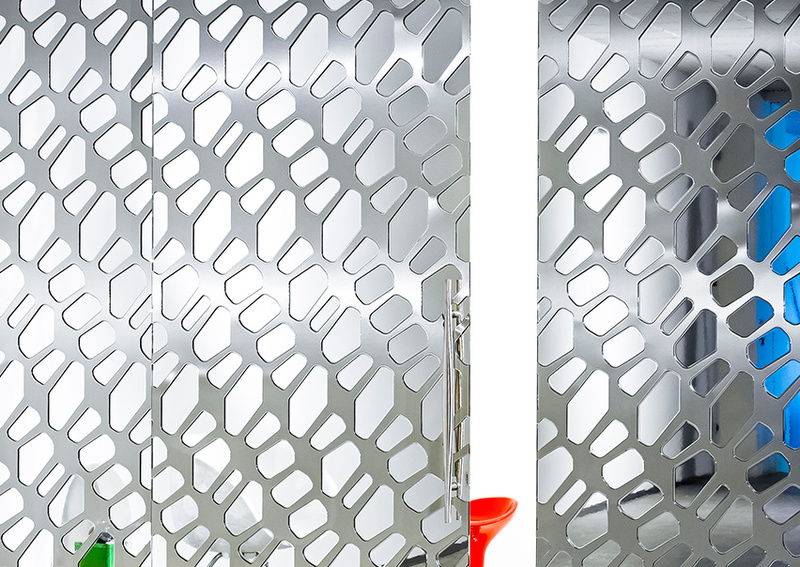 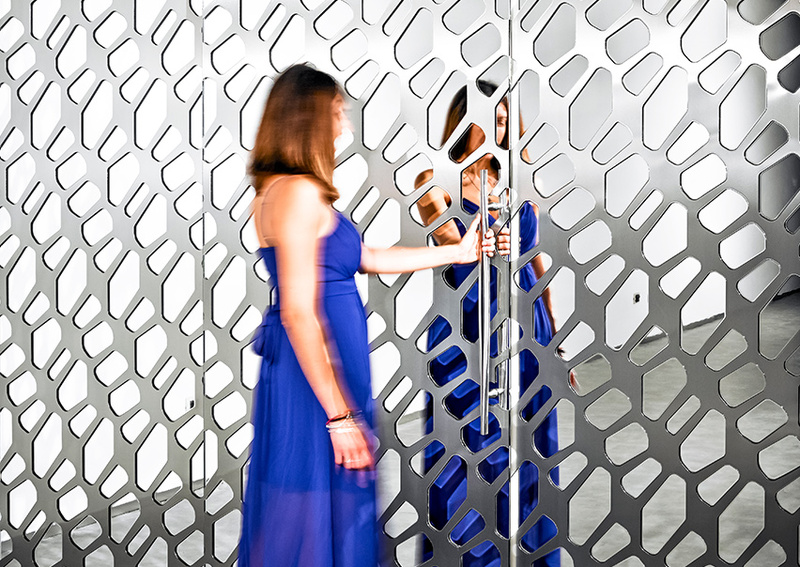 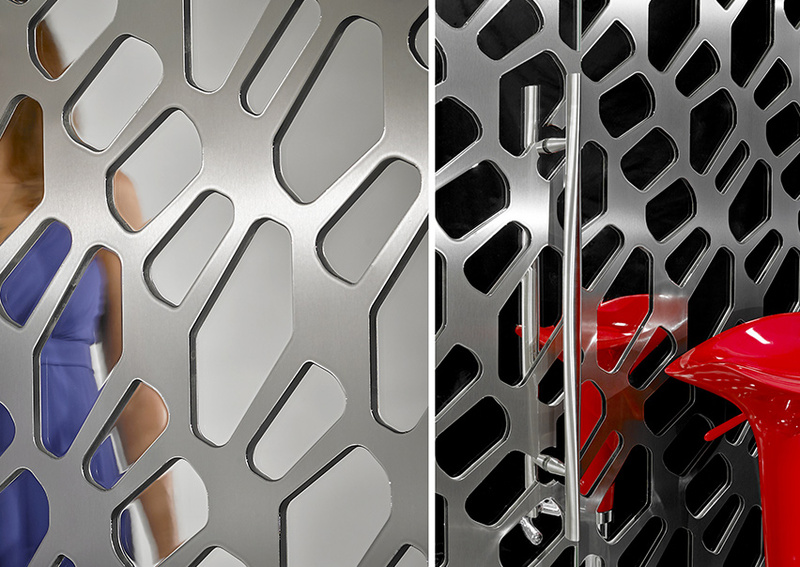 Pop Metal by Mac Stopa for Casali is a new series of unique and innovative doors and glass panels. 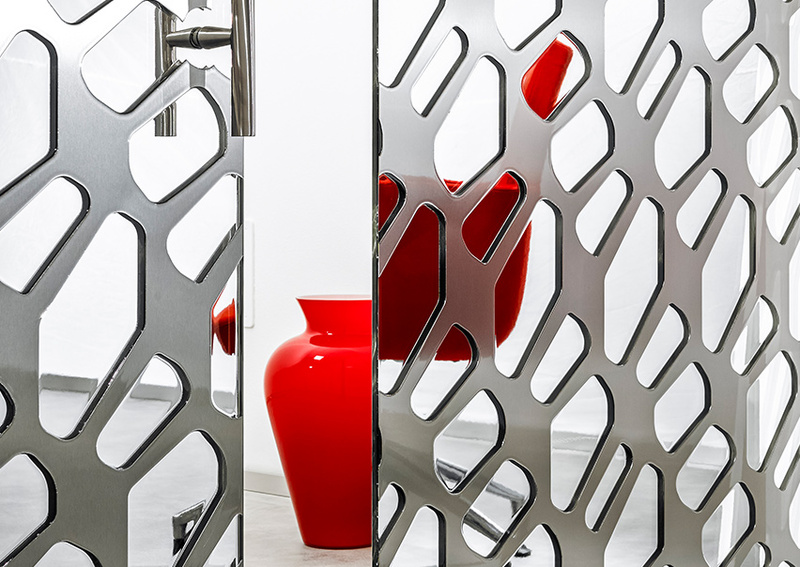 The combination of 10 mm mirrored or clear glass and sheet of brushed stainless steel finished in opaque lacquer generates a unique architectural surface with outstanding visual and aesthetic properties. 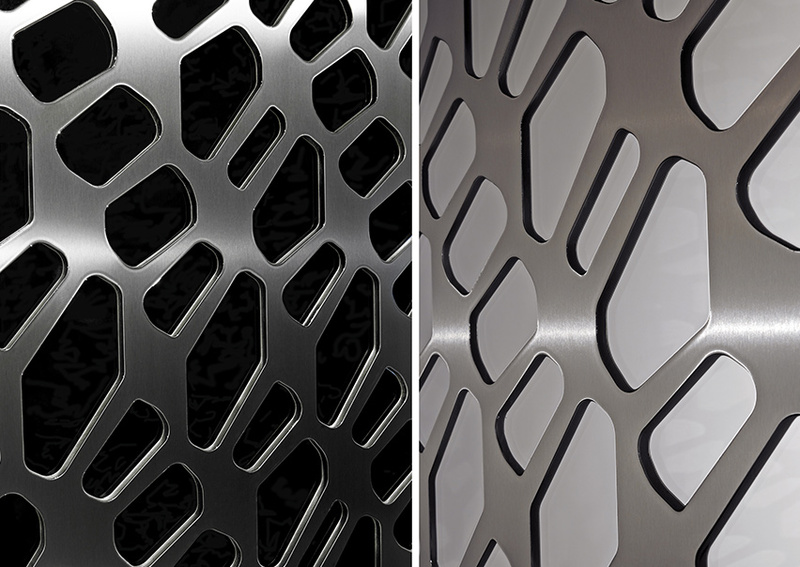 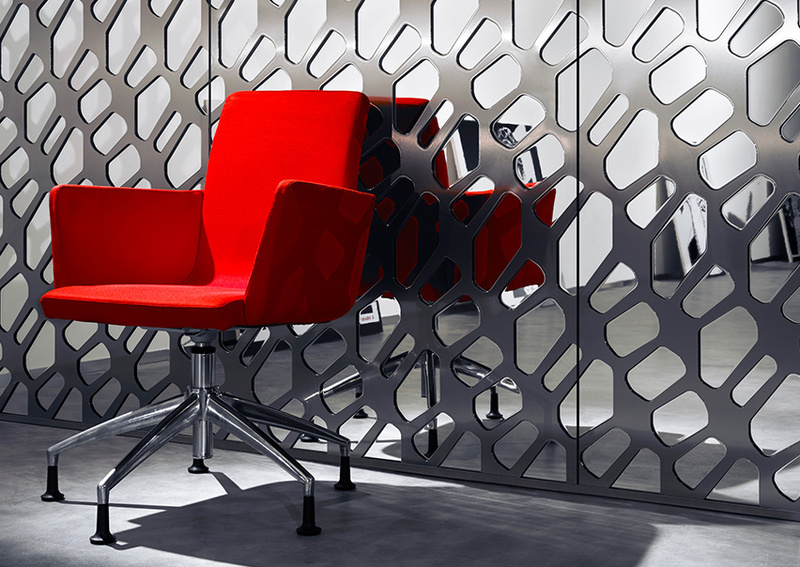 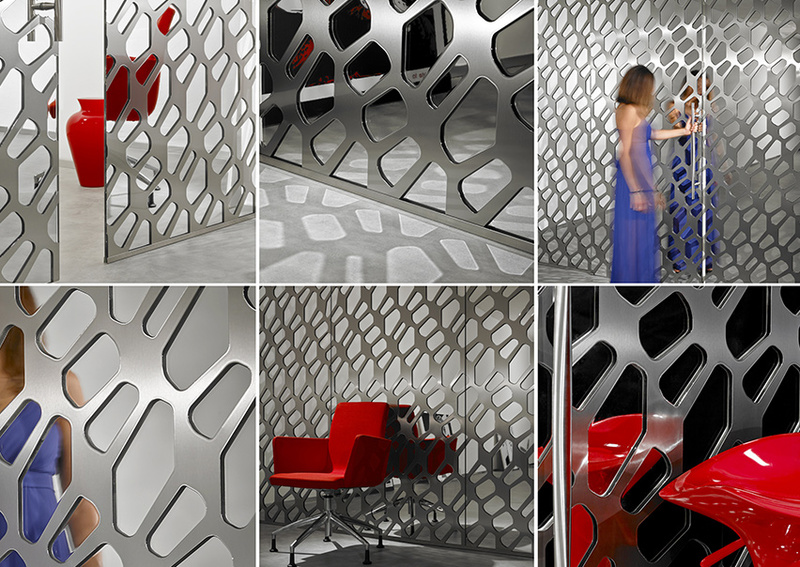 The modular organic geometry designed by Mac Stopa is laser cut in the stainless steel using the newest and most sophisticated cutting technology. 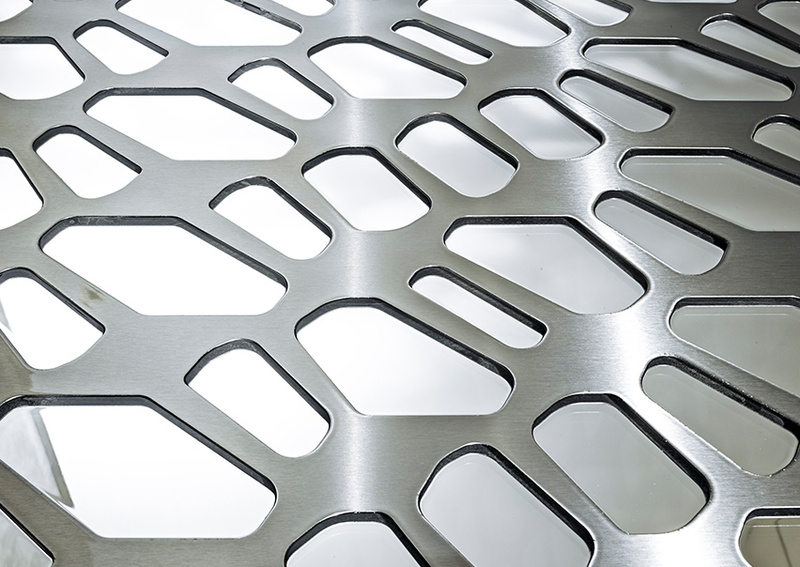 The complex manufacturing process combining stainless steel together with glass and special lacquering, which also includes vertical steel brushing, has been developed thanks to years of experience and Italian quality workmanship of Casali.